Why can the "Eastern Lightning" spread all over Mainland China despite bitter opposition? Why can the “Eastern Lightning” spread all over Mainland China despite bitter opposition? When it comes to the Eastern Lightning, many brothers and sisters in the Lord will look upset and feel afraid. Yet most of them have such doubt in the heart: why has the Eastern Lightning spread all over Mainland China like mightily overwhelming surging waves rather than falling into desolation and decay even despite the strong defense and condemnation and rejection against it from all denominations and sects? The fact completely baffles the religious people. Actually, the reason is very simple. The Eastern Lightning, called by all denominations and sects, is no other than the Savior Lord Jesus returning upon a white cloud in the last days, the real and true God Himself who has become flesh again. Almighty God—Christ of the last days—has brought the work of judgment by which to change man’s disposition and purify, save, and perfect man, and expressed the truth that can be new life of man. Therefore, even if all denominations and sects in the whole world oppose, attack, persecute, blaspheme, and condemn the incarnate God of the last days and His work, what God wishes to achieve can never be thwarted or oppressed by anyone. God’s almightiness and wisdom can never be surpassed by any forces of Satan. Many people believe that the way condemned by most people is surely not the true way. Does it accord with the truth? Let’s look back to the Age of Grace when God became flesh in Judea and carried out new work. From the beginning, the Judaists persecuted, blasphemed, condemned Jesus and tried every possible means to put Him to death. In the end, they, in collusion with the Roman authorities, arrested the merciful Lord Jesus and nailed Him to the cross. 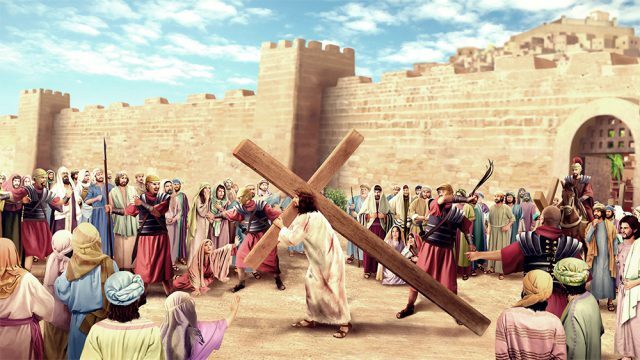 Even after the resurrection and ascent of the Lord Jesus, they spread rumors and slandered and accused John, Paul, and other apostles as the Nazarenes, cultists, and also made every effort to persecute, hunt, and afflict them. However, the work of Jesus could never be thwarted or destroyed by Satan, for God’s wisdom is always exercised based on Satan’s plots. It was because the wanton persecution and banishment of the Roman Empire forced the apostles to leave their homes and flee abroad that Jesus’ salvation was spread throughout the world and to the ends of the earth. Brothers and sisters, let’s consider this: Why was the way of Jesus resisted and opposed by so many people? Was it not the true way? Could it be that what Jesus’ apostles preached was not the salvation of God? Could it be that the way rejected and resisted is not the way of God? Could the number of its supporters be taken as the standard for judging whether it is the true way? Don’t think that the way resisted by most people is not the true way. As long as it is the work of God, even if all the people in the world oppose and reject it, the true way brought by God can never be denied. This is absolutely true. If one who believes in and follows God for many years doesn’t know God’s work and can easily be deceived and bound by Satan’s specious fallacies and rumors and become a person who believes in God yet follows Satan and who serves God yet opposes God, isn’t it distressing and regrettable? Many people don’t investigate and seek the true way with a humble heart, but follow others and buy into their ideas. They blindly follow others in judging and attacking God and His work and parrot their remarks. It’s very dangerous to do so. If they persist in their mistaken way, it will lead them onto a path of no return in the end. When the Jews opposed the Jesus’ apostles preaching the gospel in the temple, Gamaliel, a doctor of the law, said to them, “And now I say to you, Refrain from these men, and let them alone: for if this counsel or this work be of men, it will come to nothing: But if it be of God, you cannot overthrow it; lest haply you be found even to fight against God.” (Acts 5:38-39) Shouldn’t his words be a warning to every believer in God today? Today, God became flesh again and came to China—the staunch bastion of atheism, the lair of the great red dragon—to carry out the work of judging and purifying man in the Age of Kingdom. His purpose is to fully save corrupt mankind from the dark influence of Satan and bring them into His kingdom so that they can enter into rest together with Him. However, the tragedy of history that the Jews opposed Jesus is repeated. As the work of God in the last days goes against the notions of the religious people in all denominations and sects, they not only don’t welcome the returned Jesus but instead spread various fallacies and rumors to slander the incarnate God and His work. They condemn the work of the incarnate God in the last days as a heresy, a cult, and even join hands with China’s ruling party to persecute and hunt the incarnate God. Their deeds are no different from the evil doings of the Judaists who framed and persecuted Jesus. Nevertheless, the true way is the true way, and God’s work is God’s work; regardless of their resistance and condemnation against God’s work of the last days, the kingdom gospel of God has still spread all over Mainland China and shocked the whole religious world. Since it is the true way, why is it opposed by so many believers in God? The reason lies in two aspects. One is because man doesn’t know the direction of the Holy Spirit, that is, they don’t know that the work of God is always progressing forward. They don’t know how to seek the present work of God as a believer in God, but instead they know only to check God’s new work against His former work. Once they find any inconsistencies, they condemn the new work as a heresy, a cult. The other is because man is too arrogant and self-right to humbly seek the new work of God, and they hold fast to their ideas, taking their own thoughts as God’s thoughts, and refuse to accept any truth. From this, we can see that when God opens a new age, His new work is opposed by most people, not because God’s way is wrong but because man doesn’t know God’s work and refuses to seek the truth on account of their disposition of arrogance and self-right. If one thinks that the new work of God isn’t the true way because it is opposed by most people, it shows that he is absurd and preposterous. If one loses God’s salvation of the last days because of this, that would undoubtedly be an eternal loss. How do we distinguish between the true way and the false way? God’s word tells us the principles for this. Almighty God says, “Knowing the work of God is no simple matter: you should have standards and an objective in your pursuit, you should know how to seek the true way, and how to measure whether or not it is the true way, and whether or not it is the work of God. What is the most basic principle in seeking the true way? You have to look at whether or not there is the work of the Holy Spirit, whether or not these words are the expression of the truth, who is testified, and what it can bring you. Distinguishing between the true way and the false way requires several aspects of basic knowledge, the most fundamental of which is to tell whether or not there is the work of the Holy Spirit. For the substance of man’s belief in God is the belief in the Spirit of God. Even his belief in God incarnate is because this flesh is the embodiment of the Spirit of God, which means that such belief is still the belief in the Spirit. There are differences between the Spirit and the flesh, but because this flesh comes from the Spirit, and is the Word become flesh, thus what man believes in is still the inherent substance of God. And so, in distinguishing whether or not it is the true way, above all you must look at whether or not there is the work of the Holy Spirit, after which you must look at whether or not there is the truth in this way. This truth is the life disposition of normal humanity, which is to say, that which was required of man when God created him in the beginning, namely, all of normal humanity (including human sense, insight, wisdom, and the basic knowledge of being man). That is, you need to look at whether or not this way takes man into a life of normal humanity, whether or not the truth that is spoken of is required according to the reality of normal humanity, whether or not this truth is practical and real, and whether or not it is most timely. If there is truth, then it is able to take man into normal and real experiences; man, furthermore, becomes ever more normal, man’s human sense becomes ever more complete, man’s life in the flesh and the spiritual life become ever more orderly, and man’s emotions become ever more normal. This is the second principle. There is one other principle, which is whether or not man has an increasing knowledge of God, whether or not experiencing such work and truth can inspire a love of God in him, and bring him ever closer to God. In this can be measured whether or not it is the true way. Most fundamental is whether this way is realistic rather than supernatural, and whether or not it is able to provide the life of man. 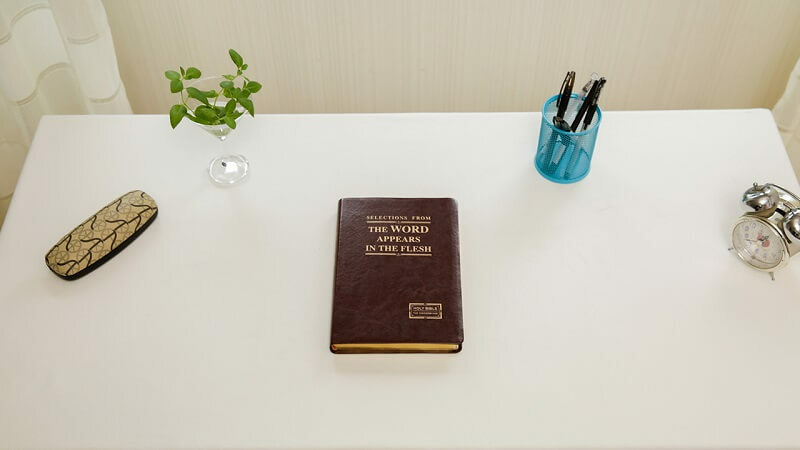 If it conforms to these principles, the conclusion can be drawn that this way is the true way.” (from “Only Those Who Know God and His Work Can Satisfy God” in The Word Appears in the Flesh) The words of Almighty God show us that we can discern the true way from the following three aspects. First, we must see whether there is the work of the Holy Spirit. This is very important. Since it is the true way, it is surely the work of God Himself, and will surely be accompanied by the work of the Holy Spirit, upheld by the Holy Spirit. People believe in the incarnate God because He is the flesh in which God’s Spirit is embodied. All of His work is the work of the Holy Spirit, and it is also validated by the Holy Spirit. So people believe in Him and follow Him. For example, when Jesus was doing His work, though He appeared to be an ordinary, normal man, people could see that His work and word was accompanied and upheld by the Holy Spirit, because they see that His work and word were full of authority and power. He made the blind see, the lame walk, and the leper healed, fed five thousand people with five loaves and two fishes, and even raised the dead. He searched man’s hearts and minds and revealed man’s hidden things of darkness. And He also spoke the mysteries in heaven. People would feel peace and joy in their heart after following Him. At that time people followed the Lord Jesus and recognized Him as the coming Messiah all because they saw that all of His work was done by the Holy Spirit. This shows us that if it is the true way, there must be the work of the Holy Spirit. So, to judge whether it is the true way, we should first discern whether there is the work of the Holy Spirit. Second, we should discern whether there is the truth expressed in it and whether man’s life disposition can be gradually changed and his humanity can become more and more normal. As we all know, God is the truth, the way, and the life. Each time God does a new stage of work, He will express the truth and thereby show man the ways of practice in the new age and give man the supply of life, so that man will live out a more and more normal humanity and gradually restore the original likeness that man had when he was created by God. This is an obvious characteristic of the true way. For example, when the Lord Jesus began the work of the Age of Grace, He expressed many truths for people at that time to practice. He taught them to love their neighbor as themselves, bear the cross, deny themselves, forgive others seventy times seven times, worship God in spirit and in truth, and so on. All those who truly believed in God underwent some changes in outward actions thanks to the teachings of the Lord Jesus, and they could be humble and patient as required by Him and lived out the likeness of normal man in some measure. So, if it is the true way, there must be the truth expressed in it, and it will make man’s humanity more and more normal and make them more and more like a real man. Third, we can judge it by whether it can bring man more and more knowledge of God and whether it can arouse their love for God and draw them ever closer to God. As is known to all, the true way is the work of God’s own and can bring man to God, and by experiencing such work, man will gradually gain true knowledge of God and develop a love for God. For example, in the Age of Law, Jehovah decreed laws to guide man’s life on earth, and by experiencing His work, they knew that Jehovah alone was the only true God. They also knew that His disposition was majesty and curse and could not be offended, and thereby they had fear of God. In the Age of Grace, God was incarnated into the world and did the work of redemption of mankind, and people knew by experiencing the work of Jesus that God’s disposition was love and mercy and saw that God was not only Spirit but could become flesh and humble Himself to be a man and perform signs and wonders, healing the sick and casting out demons…. All the work Jesus did brought man a new knowledge of God and aroused more of their love for God. Therefore, if it is the true way, it can bring man more knowledge of God and His disposition. Although God’s work is always progressing forward, as long as it is the work done by God Himself and the true way, it must meet the three conditions above. That is, there must be the work of the Holy Spirit, there must be the truth expressed in it, and it must bring man more and more knowledge of God and draw them ever closer to God. If we discern the true way by these three standards, we will tell true from false and keep pace with the present work of God and receive the truth, the way, and the life and greater promises and blessings from God. Today, in the last days, God has new work, that is, He speaks words to judge and purify the corrupt mankind. This is a newer and higher work that God does as planned, based on the work of the Lord Jesus and according to the actual need of the mankind in the last days. If you calm down and seek and investigate it carefully, you will see that the new work is not only accompanied by the work of the Holy Spirit but also possessed of the truth and that it can bring you a more true, practical, and full knowledge of God. 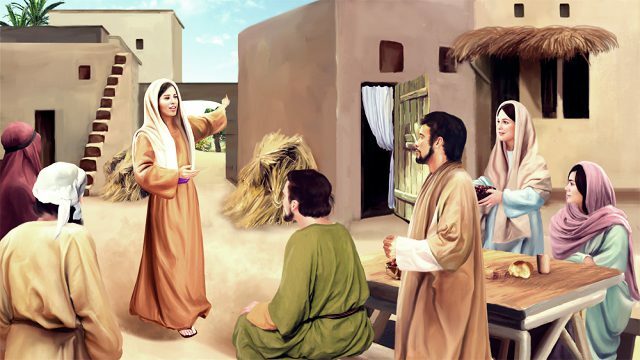 Let me share our experience and knowledge of God’s work of the last days according to the three standards. Firstly, if it is the true way, it is accompanied by the work of the Holy Spirit. Almighty God has opened the Age of Kingdom and conducted new work. He has expressed words to judge and purify man and brought man new provision of life. Those true believers of God in all denominations and sects have all gradually come under the name of Almighty God. No matter how people oppose and what force stands in the way, God’s gospel of the last days, like mightily surging waves, has spread all over Mainland China, and a gratifying scene has appeared where all people are streaming to the holy mountain. Although we are from different denominations or sects, we get along well with and help each other. There is no division among us, and the church life is full of vitality. The brothers and sisters never weary of meetings. We take delight in singing hymns and receive enlightenment in prayers. In every meeting, we derive new supply from the word of Almighty God, know more of what we lack, and find the ways of practice from His word. We are fully confident, and are responsible and faithful for God’s commission. Our corrupt disposition has been changed in different degrees, and we can act by God’s word and love each other when we are together. When there arise different opinions, we can deny ourselves and listen to others’, letting the truth of God’s word reign in the church. In this stage of work, although God does not repeat the work of the Age of Grace, no longer healing the sick or casting out demons, we see the authority and power of His word from His work. As long as we accept and obey the work and word of Almighty God, we will be enlightened and illuminated by the Holy Spirit and free from passiveness or weakness, and perform our duty as a created being actively to care for God’s will. This is why the brothers and sisters in the Church of Almighty God are able to give up their fleshly enjoyment and do their best to preach God’s kingdom gospel everywhere. Regardless of whether they are refused, persecuted, cursed, or struck by the believers of other denominations and sects, they endure all these hardships willingly and never stop preaching God’s gospel of the last days to carry out God’s will. From these facts, we can see that Almighty God is full of authority and power and His work is accompanied and upheld by the Holy Spirit. However, the churches of all denominations and sects, which fail to follow God’s new work, are full of jealousy, strife, and divisions, and people work together in a different pace, walk together with a different mind. This is proof enough that there isn’t the work of the Holy Spirit in these churches. The Church of Almighty God is in vitality as it is accompanied by the work of the Holy Spirit, while the churches of all denominations and sects are stagnant and desolate because they have lost the work of the Holy Spirit. The sharp contrast shows us clearly which is the true way and which is outdated. Secondly, if it is the true way, there must exist the truth, and it can show man the ways of practice for the new age, bring man new provision of life, and man will be increasingly transformed in life disposition and their humanity will become more and more normal. In the work of the last days, Almighty God has expressed a great variety of truths. There are truths concerning the work of God and truths concerning the practice and the entry for man in the new age, such as the purpose of God’s management, the principles of God’s work, the inside truth behind the works of the Age of Law and the Age of Grace, how God conducts His work of judgment, what the significance of God’s incarnation is, how mankind has developed until today, what the destination of mankind will be, what viewpoint believers ought to hold, what believers should pursue, why believers must submit to God, why only loving God is truly believing in God, what service is after God’s heart, and so forth. These truths allow us to gain much understanding of God’s will and much knowledge of the substance of our nature and the true condition of our corruption, and they also show us clearly the way to change our disposition. Through experiencing the work and word of Almighty God, we have known the impurities in our former belief in God: Although we were redeemed by God and received the abundance of grace, in our heart we were calculating every day how to gain more fleshly enjoyment and material blessings and gain our longed-for blessings from God. We journeyed to and fro for God’s work in order to gain blessings, crown, fame, and benefits, not for the sake of fulfilling our duty as a created being. Regardless of the abundance of grace from God, once God did something discordant with our notions, we would immediately resist and complain about God and even be in enmity to God openly or leave God. The original conscience and sense that man ought to have before God couldn’t be found in us, and we had been corrupted by Satan so much that we no longer had the likeness of humans. From the truths expressed by Almighty God, we gain true knowledge of the truth of our corruption and see that we are selfish and contemptible and without humanity. And we also understand the meaning of the work of God’s salvation for us and appreciate God’s devotion to saving mankind. In this way, our spirits are revived little by little and our conscience and sense are gradually restored. We no longer seek to satisfy our flesh but only pursue to devote ourselves to fulfilling God’s will, so we gradually have a normal relationship with God, a relationship between created beings and the Creator, have more and more love, obedience, and worship for God, and live more and more like a real man. In short, Almighty God has brought us the truths badly needed for the people of the last days, showed us the direction ahead in the new age, and given us the most actual provision of life. These facts are sufficient proof that the way of Almighty God is the true way. Thirdly, if it is the true way, it brings man a new knowledge of God. Brothers and sisters, if you read the word of Almighty God personally and come into real contact with the brothers and sisters in the Church of Almighty God, you will find that they have gained a new knowledge of God by pursuing the truth expressed by Almighty God. They have known from their experiences of His work and word the righteous disposition of God and seen that God’s inherent disposition encompasses not only love and mercy but even majesty, wrath, and intolerance of man’s offense. Through experiencing the work and word of Almighty God, we have seen how God saves man by steps and how He vanquishes Satan with His wisdom, and we have truly known that God is almighty, wise, wondrous, and unfathomable and gained a truer understanding of His devotion to saving mankind, His true love for mankind, and His essence of goodness and beauty. In experiencing the work and word of Almighty God, we have corrected our former fallacious knowledge of God. For example, we have known that God is not only the God of the Israelites but also the God of all Gentile nations, He is the God of all creation, His work is always new and never old and follows no doctrines, and so on. All this shows that the work and word of Almighty God have increased man’s knowledge of God and made man gain a more real and full knowledge of God than they did in the Age of Grace. Only when God Himself does the work can it achieve such results. There is no doubt that the way of Almighty God is the true way. As such, the conclusion can be drawn that Almighty God, who is condemned by the religious world, is the God Himself returning to flesh in the last days. Therefore, regardless of the opposition and attack from all denominations and sects and the slander and condemnation of all Satan’s forces, the spreading of God’s work of the last days has not been thwarted in the slightest. During the dozen years, the kingdom gospel has expanded all over Mainland China, and God’s name and God’s word have been spread to hundreds of millions of families. Those believers in all denominations and sects who pursue the truth and truly want God have returned to Almighty God. Millions of people are enjoying God’s words, experiencing God’s work and salvation, and praising God’s wondrous deeds. God has made a group of overcomers in China who are of one mind with Him. God’s work has eventually concluded with His glorification, and God will appear publicly to all nations and all lands soon. Spiritual siblings, remove your timidity and doubts and come to God with your sincere heart. Almighty God is watching, awaiting your return all along! We believers in God don’t participate in politics, but only perform our duty. Why does the “Eastern Lightning” spread so fast and unstoppably despite being guarded against by all people? The religious world started to resist the incarnate Christ right from the Age of Grace. Why is Christ always resisted and condemned by the religious world? The reason man is always willing to believe in an invisible God in heaven is because God in heaven has no humanity and He does not have a single quality of a created being. A common saying goes, “Good will be rewarded with good, and evil with evil.” Then why doesn’t God destroy all the wicked? The answer from God’s word: “Today, regardless of their actions, and provided they do not obstruct God’s management and have nothing to do with the new work of God, such people will not be subjected to the corresponding retribution, for the day of wrath has yet to arrive. There is..